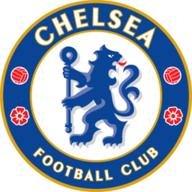 Chelsea comfortably beat Fulham 2-0 on Sunday afternoon to mark a disappointing return to Stamford Bridge for Claudio Ranieri on Derby Day. Pedro broke the deadlock for the hosts in the fourth minute following a mistake from Jean Michael Seri as Ranieri experimented with a diamond midfield. Fulham rallied in the second half with Calum Chambers coming close on a few occasions, but substitute Ruben Loftus-Cheek sealed victory for the hosts (82) after some fine combination play between Eden Hazard and Pedro. The result means Fulham remain bottom of the Premier League table on eight points. Chelsea, meanwhile, move up into third ahead of Tottenham for at least a few hours. Chelsea: Kepa (8), Alonso (7), Azpilicueta (7), Luiz (6), Rudiger (7), Kante (7), Jorginho (7), Kovacic (7), Pedro (9), Hazard (8), Giroud (7). 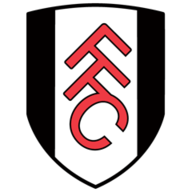 Fulham: Rico (7), Sessegnon (6), Odoi, (5) Mawson (5), Le Marchand (5), Chambers (7), Christie (6), Seri, (5) Johansen (5), Cairney (6), Mitrovic (6). After an encouraging opening from Fulham, their early momentum came to a halt due to a series of mistakes by Denis Odoi and Seri. Odoi's ponderous pass into Seri was picked off by N'Golo Kante, who slipped through Pedro to slot away Chelsea's 1000th home goal in the Premier League. Fulham strung together their best move of the first half in the 17th minute with Chambers letting a shot go from range, but Kepa Arrizabalaga was equal to the effort. Chelsea almost doubled their lead with less than ten minutes of the first half to go through Olivier Giroud after he met Eden Hazard's cross at the near post, but Sergio Rico did well to stop the first-time effort with a strong reflex save before the Spaniard made a similar stop with his legs to deny the Frenchman just before half-time. Olivier Giroud replaced Alvaro Morata up front. Pedro took Willian's place in the one other change. Andre Schurrle was not in the matchday squad due to injury. The former Chelsea midfielder was replaced by Stefan Johansen. Ranieri introduced Floyd Ayite and Aboubakar Kamara to inject some pace into his side at the start of the second half, but their an equalising goal nearly came through Chambers again. He rose highest to meet a floated corner by Seri, but his near-post header was expertly batted away by Kepa. The Arsenal loanee then had another opportunity to put Ranieri's men on level terms in the 65th minute only for his swept effort to be clawed to safety by Kepa. Just moments after coming off the bench, Alvaro Morata was presented with a glorious chance to extend Chelsea's lead in the 72nd minute but he blasted his rebound, following a strong save by Rico to deny Hazard, over the bar from point-blank range. Fortunately for the former Real Madrid striker the miss did not matter too much as Chelsea extended their lead through Loftus-Cheek in the 83rd minute who finished off a flowing move, kickstarted by Hazard and Pedro, on his 50th Premier League appearance. Gareth Southgate will likely be keeping a close eye on Ruben Loftus-Cheek who has performed well under Maurizio Sarri this season. He made a fast impact after coming off the bench to score his fifth goal of the season in all competitions. Ryan Sessegnon produced a disappointing display in an unorthodox striker position alongside Aleksandar Mitrovic before he was substituted at half-time. Chelsea haven't lost any of their last 11 home games in the Premier League (W6 D5) - their longest unbeaten run at Stamford Bridge in the competition since August 2015 (a run of 21 games). Fulham have conceded 35 goals in the Premier League this season - their joint-most after 14 games of a top-flight league campaign (35 in 1959-60). Chelsea are unbeaten in their previous 17 Premier League games against Fulham (W10 D7), winning each of the last four in a row. This was the 14th time that a former Chelsea manager has returned to Stamford Bridge in a Premier League game and failed to win (D5 L9), with this being Fulham manager Claudio Ranieri's third such attempt (D1 L2). Fulham have failed to keep a clean sheet in each of their last 18 games in the Premier League, and are the only side yet to keep one in the competition this season. Pedro's opener for Chelsea was their 1000th home goal in the Premier League, becoming just the third club to reach this landmark in the competition after Manchester United and Arsenal. Chelsea winger Pedro has scored more Premier League goals in 12 appearances this season (5 goals from 23 shots) than he managed in 31 such games in 2017-18 (4 from 56 shots). Chelsea midfielder Ruben Loftus-Cheek has scored five goals in his last six appearances in all competitions for Chelsea, including in back-to-back Premier League games for the first time. 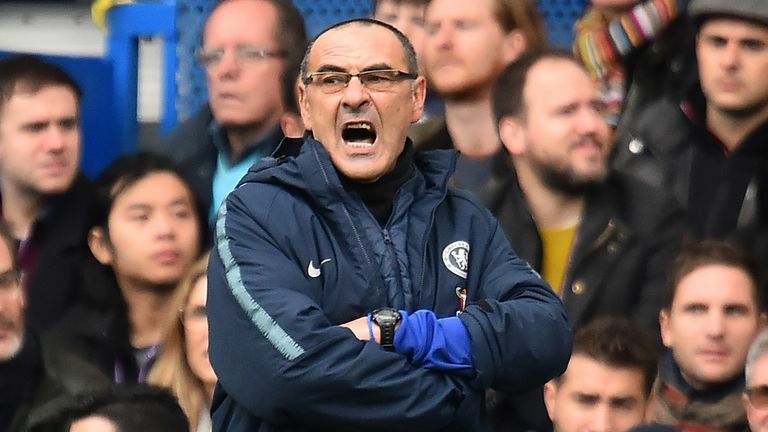 Maurizio Sarri: "I think that we were a little tense. We defended a little better than in the last match, of course. "We can do better in the offensive phase, but today the result was more important. "We gave more attention to the defensive phase today in order to kill the match and got a very good reaction for the level of application and attention. "Now we have to start to play our football in a better way." 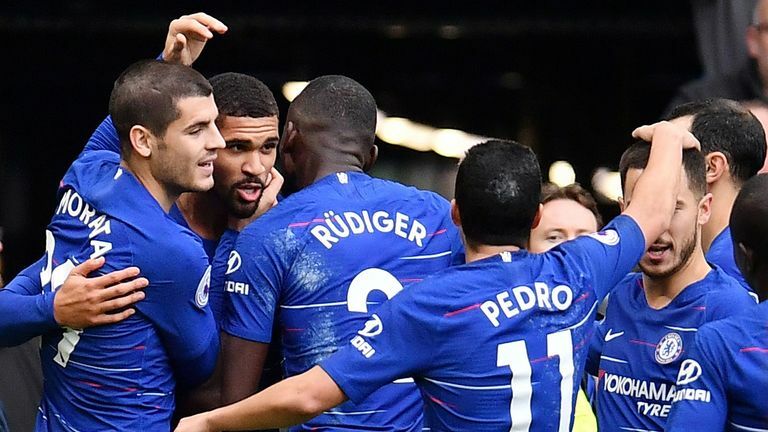 Chelsea boss Maurizio Sarri said he was pleased with how his side responded following last week's defeat to Tottenham. Claudio Ranieri: "We made a mistake for the first goal and then in the second half we played much better. "We created some chances and, of course, when you play against a big champion it's something we had to do. We are improving. It's a positive step but, of course, we have to react immediately." 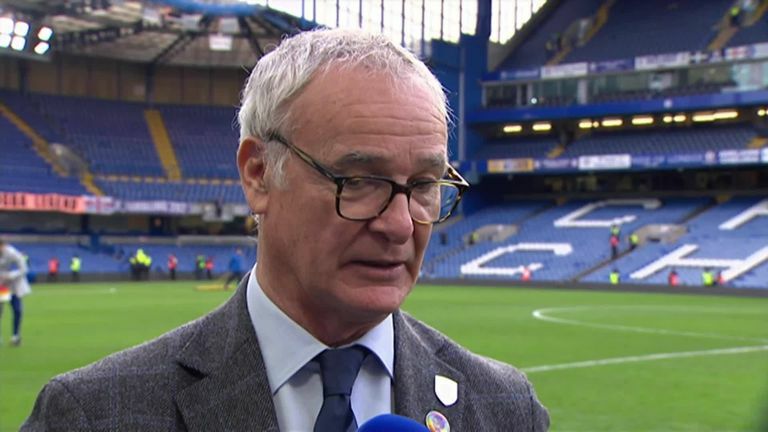 Fulham boss Claudio Ranieri has called on his players to react positively after suffering a 2-0 defeat to former club Chelsea. Pedro was instrumental in Chelsea's comfortable victory. He clinically took his chance in front of goal the first half to get his team off to a bright start and frequently provided left-back Maxime Le Marchand with plenty of problems. The former Barcelona forward continued to be dangerous in the second half and played a crucial part in the build-up to Chelsea's second goal as he exchanged some intricate passes with Hazard before creating the opening for Loftus-Cheek to capitalise on. Chelsea travel to Wolves on Wednesday night for a 7.45pm kick-off. Fulham, meanwhile, host Leicester at the same time.